After trying either of the Beta's, I noticed after developing a Olympus RAW file and going to a couple of Plug-ins I use (Topaz Studio & PortraitPro) the images are being turned 90 degrees in the plugins, This doesn't happen if it is a jpeg file, I think it's the .afphoto file format that is causing the problem. Have you tried this in a 1.6 version and was it working correctly? It looks to me like your original source file has EXIF rotation metadata. Unfortunately there is already a known issue that this gets lost when handed over to plugins. You could try right clicking the Pixel Layer and selecting 'Rasterise' I believe this should then be rotated correctly. This never happened in 1.6 or lower, as a matter of fact this photo was from a shoot that I entirely edited and delivered to the client using 1.6 I chose a RAW from this shoot because of that, to see that it was a bug in the beta. Would you be able to attach a copy of the RAW file you were sending through to the plugins please, and if possible a copy of the AFPhoto file from Photo 1.6 you were using prior to sending them over please? Thank you for the file Gregory, I've reproduced the issue and will get it passed on to development. 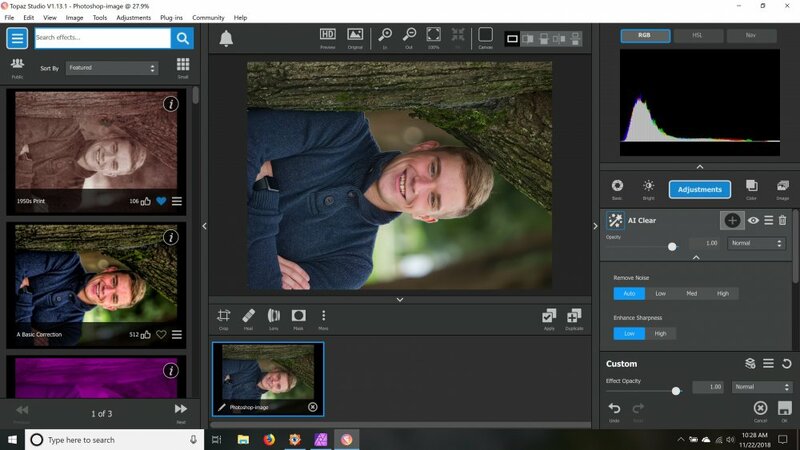 What version of portrait pro are you using? i can't run portrait pro 18 as a plugin at all. Its a fresh Portrait 18 install (i did'nt have the studio edition of 17). I used the manual install of plugin and pointed Affinity to the folder with the PortraitProPSFilter64.8bf and PortraitProPSFilter32.8bf . I don't understand the "do it manually" part. As I said you don't want to use the .8BF plug-ins you want to use the ProtraitPro program itself as the plug-in. I'm not sure why you aren't seeing 2 plug-ins from within Affinity Photo, I helped someone else with this issue and they had the 2 same as me. Try removing the plugin from Affinity Photo and try reinstalling ProtraitPro and start over. What folder are you telling affinity photo to search for the plugin? I'm at work right now, when I get home I will check that for you. I believe it is the root folder for PortraitPro but I will confirm. 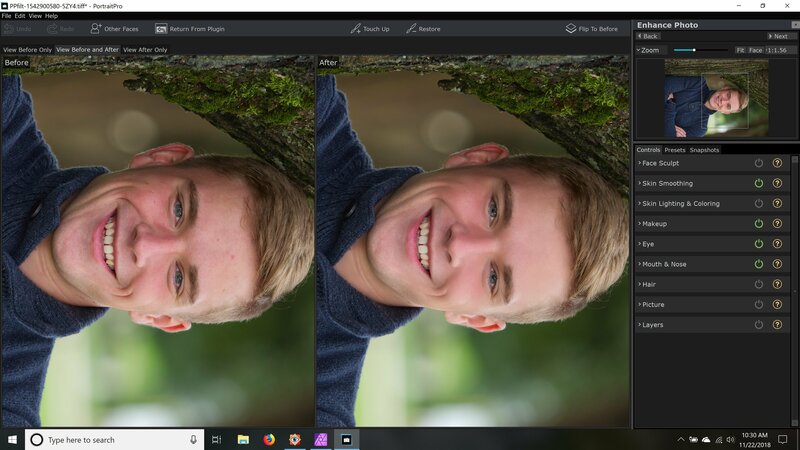 i found old PSFilterPPLauncher64.8bf on there homepage (https://www.portraitprofessional.com/support/?qid=69) With that one Portrait pro starts and opens the image. But Affinity photo close down in the background. One small step in the right direction.